UPDATE: TMZ has obtained the 17-page federal indictment which offers much more insight on the Tekashi 6ix9ine situation. 6ix9ine alone is facing 6 charges, the most serious of which is discharging a firearm while committing a crime. If convicted, Tekashi will face a possible life sentence, and a mandatory 25 years in prison. ORIGINAL: Just a few days before from the release of his Dummy Boy album, 6ix9ine has landed himself in serious trouble. 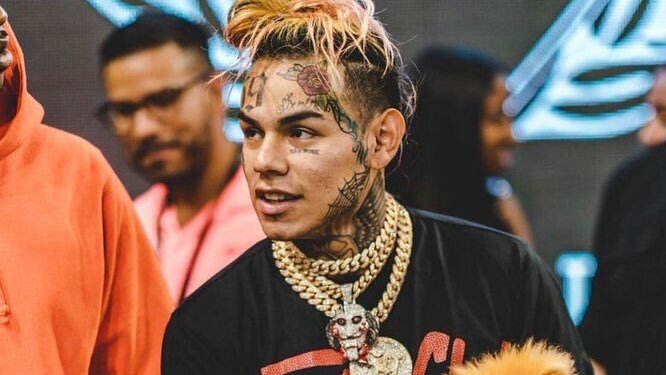 According to reports the 22-year-old New York artist, real name Daniel Hernandez, was arrested late last night on federal firearm & racketeering charges, along with his former manager Faheem Walter and another unnamed associate. The arrest comes about a month after Hernandez was sentenced to four years probation for violating the plea agreement he struck in 2015 for his sexual misconduct case.